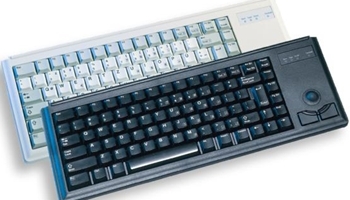 The G84-4420 LUBEU-0 is a durable, ultra-slim keyboard with Cherry mechanical keyswitches for industrial and commercial applications. Light grey, USB with optical trackball. Scanning: Optical or mechanical. Two switch activated mouse buttons. Resolution: For Optical 400 dpi.